Brand New Custom Survival Knives! 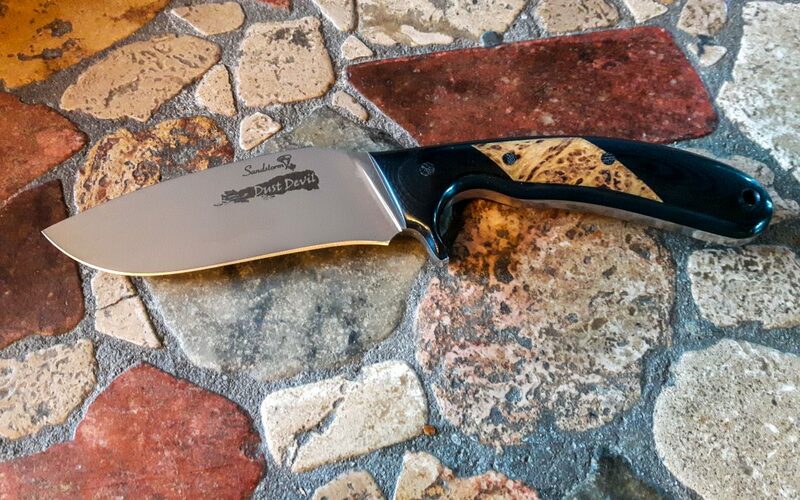 We have a new addition to our Sandstorm Custom Knives Family! Our 4″ and 5 1/4” Survival Knives. The blade is S30V stainless tool steel with a Rockwell hardness of 60 and is 3/16″ thick with a recurved design and full height grind on both sides. 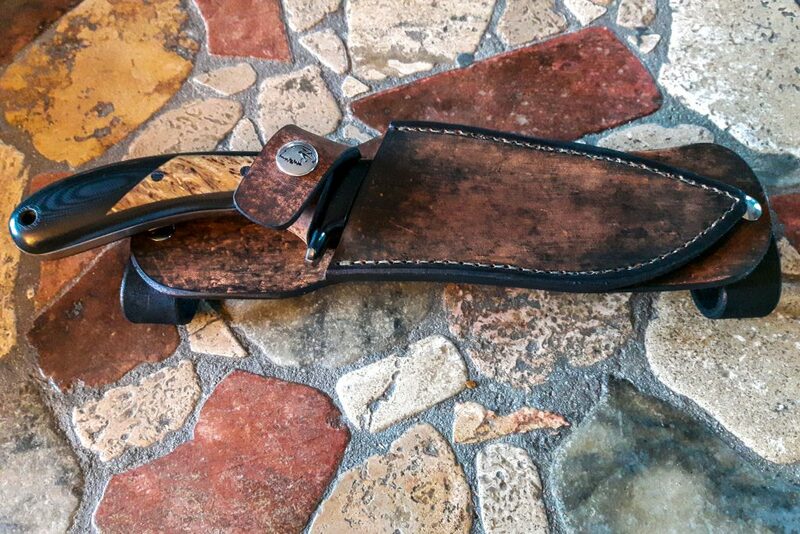 Let us make this custom for you with a handle that you choose and a handmade designer sheath. This is a tough tool that feels excellent in your hands, cuts spectacularly, and is beautiful to the eye as well. It can be passed down from generation to generation. And, as with all Sandstorm Custom Knives, the Dust Devil comes with a lifetime warranty and lifetime free sharpening. A perfectly fitted leather sheath is also included, at no extra charge. Order yours today. You can also contact us with questions or requests, anytime. A beautiful, top quality custom sheath.